The members of a Russian doomsday cult are reportedly refusing to talk with the outside world and will only communicate by singing or using written notes. 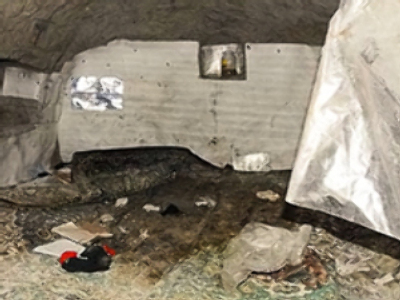 The claim about the religious fanatics, who have barricaded themselves in to a cave in the Penza region, comes from the RIA news agency. It quotes authorities who say the only subject that cult members agree to discuss is about living conditions in the cave. They answer to all other questions by singing psalms or writing. Latest reports say the cult members have managed to re-dig the well and now have access to fresh water. The well was blocked after the cave’s roof collapsed in late March when it was damaged by spring floods. At least 9 people are believed to remain in hiding underground. A total of 35 people, including three children, were convinced by their leader, Pyotr Kuznetsov, to bury themselves and wait for the end of the world in November last year. Kyznetsov is now in a psychiatric ward. Most of the group left the cave after it collapsed. The recluses said two of them died underground, although this has not been confirmed.